→ Tales of Wulfgard, Volume 1 - Coming July 15 - Pre-Order Now! Whisper has never lived anywhere except the City - never even been beyond its walls. She knows it like the back of her hand, knows the long faces of its dark buildings like the faces of old friends - almost her only friends. But there is a new gang in town: a shadowy cult kidnapping young street urchins for an unknown purpose. And Whisper becomes one of their first victims. Since before recorded history, the ancient organization known as the Venatori have protected the people of Achaea from the threat of creatures far more powerful than any man: monsters. But even Caiden and Gwen - both highly trained hunters - find themselves outmatched when confronted with one of the deadliest beasts in the mortal realms: a werewolf. It will take all their experience and cunning to survive. Jörgen Björnsson is a proud son of Northrim, despite being an orphan. He wants nothing more than to protect his home from conquest by the ever-expanding Achaean Empire. After fighting skirmishes against them for years as an outlaw, he finally joins a Northern army willing to take the fight to the Imperials directly. But Jörgen finds that real war is not quite as glorious as he had hoped, and he may never be able to go home the same man he was before. 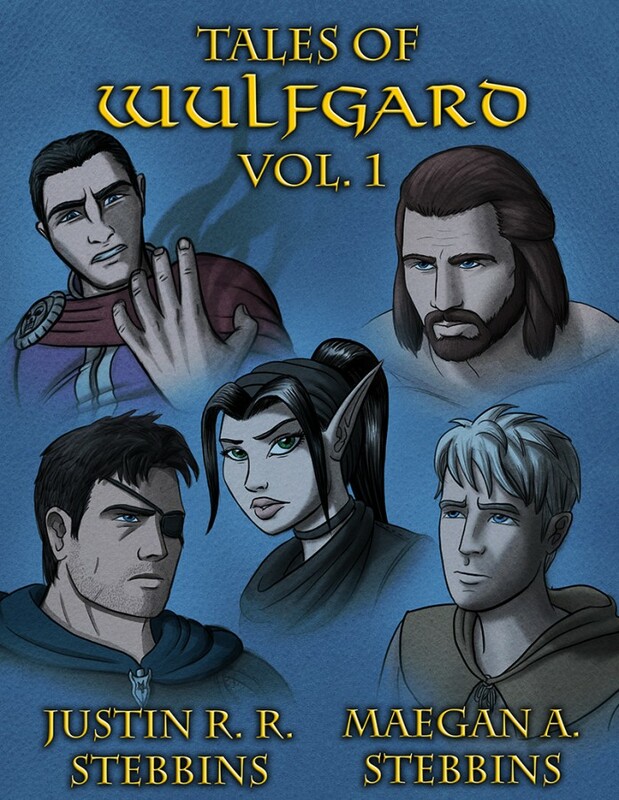 Available only in eBook format (for now), Tales of Wulfgard, Vol. 1 will be sent to all Kickstarter backers for free once it is released, and everyone else can pre-order these exciting chapters in the Wulfgard saga!